A new attraction featuring international icon Mickey Mouse is coming to Disney’s Hollywood Studios at the Walt Disney World Resort! 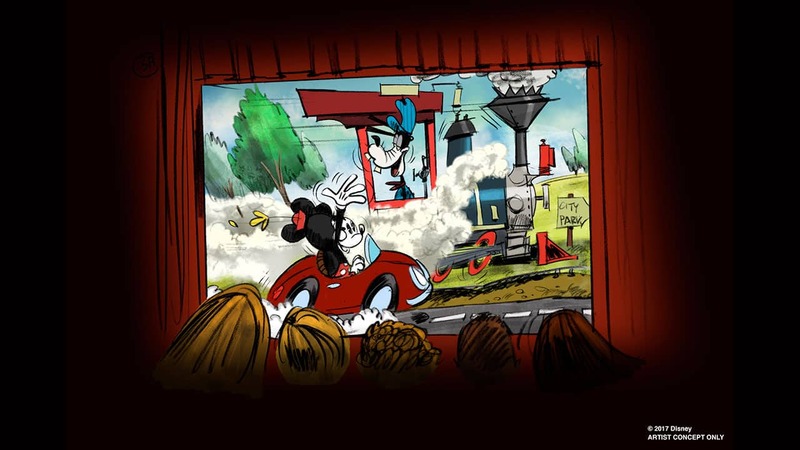 Details for our first Mickey-themed ride-through attraction, Mickey and Minnie’s Runaway Railway, were just unveiled during the Walt Disney Parks and Resorts presentation at D23 Expo 2017 – and we think you’re going to love it. As you plan ahead, we also wanted to let you know that in order to begin to prepare the new home of Mickey and Minnie’s Runaway Railway at the Chinese Theatre in Disney’s Hollywood Studios, August 13, 2017 will be the final day of operation for The Great Movie Ride presented by Turner Classic Movies. Until August 13, you can still relive some of the greatest movie moments in history on the Great Movie Ride attraction. Oh No, So So sad The Great Movie Ride!!!! The very heart of Hollywood Studios…. End of an era. As seen in Hollywood Studios on various marquees, The Great Movie Ride is “A Spectacular Journey…” and it most certainly is, as it’s been adored annually by gazillions of people since 1989, nearly 28 years. Mickey, we love you. You are…phenomenal! But with all that land available, couldn’t you make just a few adjustments and build Minnie and yourself a brand new attraction just around the corner…and leave GMR intact and the fans with another 28 years of fascination and enjoyment of movie history! I am so sad to hear of the loss of the Great Movie Ride!!!!! To me it was the very BEST thing about Disney’s Hollywood Studios!!! I would rather see the Tower of Terror replaced! Change is Constant. That does not mean we have to make decisions that ultimately are ending an era. MGM now Hollywood Studios was a place known for representing the start of movies, Planet Hollywood, or movie stars -if you will-. The tone to the whole park has slightly been changing and that is understandable from a marketing perspective although it is not from many others. Many people love nostalgia. As exciting as the new Mickey ride will be, it does not need to close nor take place of the Great Movie Ride. We all have our favorite things/moments that touch our heart. For example, when I would go on the ride I would tear up each time I saw the flicks of movies at the end. Simply because of other peoples happiness. Granted they were acting but when people seem genuinely happy it makes me happy. It seemed like a chance to get away from any chaos that may have happened within the day. Ultimately, the Great Movie Ride is a timepiece and it is being forgotten/ removed for new. (Not even for perhaps Steamboat Willie) I do not feel this is ok for more success, even if a memoir of it will be placed somewhere. Wondering why? When numbers are low try to market. I am not an imagineer and would never tell someone else how to do their job but I am very sad and torn like others. Keep the Great Movie Ride. 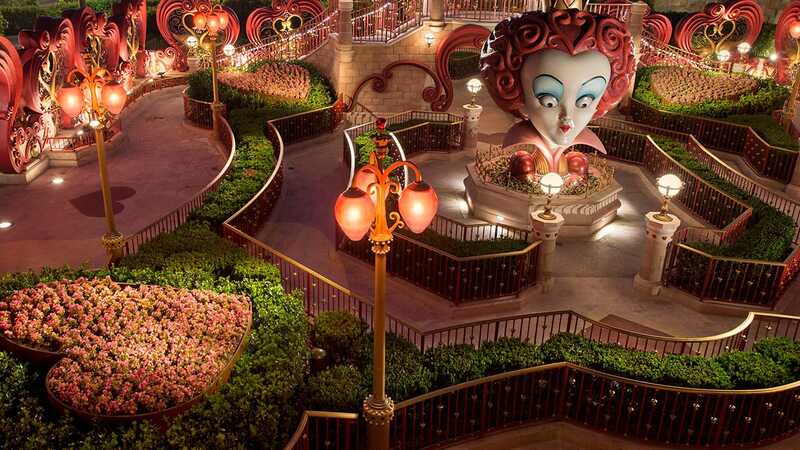 Relocate Mickey and Minnie – I’m sure they won’t mind. I thought the point of Hollywood Studios was to be more toward movies. I could see the new ride at Disney in place of Hollywood Studios. I knot these were shorts but The Great Movie ride was the heart and soul of the Studios. It was like going back to the most icon movies of all time. I really think this will make the park go down. I know the current movies stuff like Star Wars, etc. are going to be great but GMR was more toward the movies and faces that started the movies. I really wish you would rethink this and just do some major updates and like the Mickey & Minnie ride go over to Magic Kingdom. It will be missed. I am excited about the change to an extent. I wish there would just be an update to the GMR but I think it’s exciting for Mickey to have his own attraction. Just hope it’s done right. Some say that it’s bad decision to take out GMR but from feedback I seen while I was visiting with some people on the Disney Bus, they were talking how they were disappointed in the ride thinking at should be updated. So Disney knows it’s time for something here. I agree with that it should be updated but it’s going to be changed now and I will be happy if it’s done right as I said. I hope they dont change the look of the characters. They are iconic characters and should stay as the original. I doubt Walt would want them changed. This is a real shame. I feel like GMR did need some updating, but Hollywood Studios is heavily lacking in every department. You can’t even spend a full day there anymore. Granted, the Star Wars and Toy Story lands will improve on that, however, why close down a very popular and iconic ride before they open? Or better yet, could they not find another place to add this new Mickey ride? I actually love the idea of this new attraction, but not so much at the expense of a ride that I was hoping to go on again. Unfortunately, I’ll be missing it by a month. 🙁 If I wasn’t going with my brother and sister-in-law (both have never been to WD) this next trip, I’d probably save money and skip HS this time around. Okay I have three questions. 1. Will the props from the ride be auctioned off? The tinman would look great in my library. 2. Is there a guess when the ride will be finished? 3. Would the wait time for GMR be long on August 13? I’m planning to go on that day. I totally agree that the new ride sounds great, but it will never and should never replace the Great Movie Ride! Please reconsider and update GMR and put the new ride elsewhere in DHS. GMR is truly one of the classics that should not go! I have been coming to Walt Disney World since it first opened, there are always changes happening. We should give the new adventures a chance before complaining about them. Try all of the new things available, you might find some new favorites. Sorry to see the Great Movie Ride go, but it is not the same since it became the Turner Classic Movie commercial. Hopefully the new rides and lands will fill the park back up. It has been very slow the last few times we have gone. So devastated about GMR closing. I am coming in August and we will miss it by 3 days, this was the ride my little girl was most looking forward to seeing. wondering if it is even worth going to HS now? Wish you would have at least waited til after the summer season to close it. Completely heartbroken over the loss of the Great Movie Ride. The replacement will never live up to its awesomeness. Never. This ride sounds great! However, I can’t believe we are only getting it at the expense of the iconic Great Movie Ride. That ride is literally the reason that I developed an interest in classic cinema at an early age. It hurts to think about going to the Studios and not riding it. It has needed a serious update for quite a while now, admittedly, but as much as this new ride is a great idea, I hate to see the celebration of Hollywood as a whole abandoned. Couldn’t space be found elsewhere for the new ride? Terrible decision to eliminate The Great Movie Ride. This was one of Disney’s masterpieces. Walt Disney World has “the blessing of size.” Build the Mickey attraction somewhere else. The Great Movie Ride has been delighting guests of all ages for years, and could continue to do so. Please please please, reconsider this decision to close it. Excited about the new Mickey/Minnie attraction but I, like many of the other folks, am upset that The Great Move Ride will be closing. Was looking forward to riding again during my September visit. going to miss the great movie ride.. Loved going every time. Devastated by the closing of the Great Movie Ride. I am coming to WDW in October for the first time with my grandkids. I had been at DHS last November for the first time and loved the art deco buildings and especially the Great Movie Ride. I had hoped to take the kids there and now it sounds like it will be gone. So sad. If GMR isn’t there maybe we will skip that park. I admit I don’t know a lot about Star Wars but I think that is George Lucas’ dream and not Walt Disney’s. Can’t agree more with Ryan and Marie regarding the animation style planned Mickey’s Runaway Railroad. Ryan makes a great point on the faddish style of the current animation. Sad to see the Great Movie Ride go, especially now with the late Robert Osborne hosting it. Yeah, it did need some upgrading – ‘Alien’ a classic? It’s a rewrite of ‘It! The Terror from Beyond Space’ for Pete’s sake! But the real classic treatments were great. Hey, is Disney selling off the old animatronics? James Cagney would sure look good in my living room! Wouldn’t it be in keeping with Walt Disney’s dream to combine this breakthrough experience with the animation he created? The new generations are becoming less and less familiar with the original Walt Disney animation. It is so important to honor his hard work and sacrifice with a tribute to his actual creations while incorporating the new imagineering concepts! I am thrilled that Mickey and friends are getting a ride here at DHS. Personally, I felt that The Great Movie Ride needed to be updated or replaced, though it is sad to see it go. I’m glad I got to go on it one more time before it closed. While I’m very excited about most of the announcement I’m seeing and I’m sure Disney will did a wonderful job with this new attraction I fear the soul of DHS and EPCOT are being lost. The Great Movie Ride and One Man’s Dream are the soul of DHS (the story of the golden age of Hollywood that never existed brought to life). I’m so sad to see a classic attraction being removed. In EPCOT there are beautiful Disney themed rides but less and less about learning, progress and the individual cultures, which was more aligned with Walt’s dreams. I’ve been feeling out watching D23 annoucments and I love Disney but it’s because I love it this one makes me a little sad. Too bad it’s not closing until after Labor Day and I would have like to go on the Great Movie Ride once more before it closes. How can Disney possibly shut down another ride at DHS? I’m all for new and innovative rides…..but this is a poor decision and truly hurts every single park attendee! WDW must move the close until after Toy Story Land opens. Glad to know the Chinese theater will not be torn down. It seems very proper to have a Mickey & Minnie film attraction to replace “The Great Movie Ride”. After all the great legacy of Walt Disney started with animation on the silver screen. I am excited for this, but it is disappointing that it is replacing the iconic Great Movie Ride. This is exciting, in general; however, the closing date of GMR just crushed my heart and ruined my vacation plans. We arrive on the 13th and won’t make it into the parks that day. I knew GMR would be closing soon, but less than 1 month notice for the end of such a classic is disappointing to say the least. How soon until HWS gets a new park name? With Galaxy’s Edge and Toy Story Land, there is an extreme lack of general Hollywood-ness… especially with this Mickey-themed ride replacing The Great Movie Ride. I am all for the change, and happy that Mickey gets his due with Pixar and Star Wars taking over the area. What will become of the other old Hollywood areas? More Marvel-type experiences, I hope! While I’m THRILLED that Mickey (and pals) are getting some attention in Disney’s Hollywood Studios, I’m HORRIFIED that Disney is choosing to use this super faddish style treatment on a ride that needs to be in operation for 10+ YEARS!!! You are already going to anger the Great Movie Ride crowd, but at least if it were an adventure through the life and times of Mickey from Walt through today, you would lesson the blow and fans would understand. The Fred Moore Brave Little Tailor/ Fantasia style Mickey is the gold standard. Out of all the announcements at this D23 I was most excited about this, ONE because it saves the Chinese Theater, and TWO it’s about my favorite character of all time, Mickey. Now that we have the details, this is the most disappointing announcement. I sure hope someone has a change of heart before this becomes a reality! Exciting! 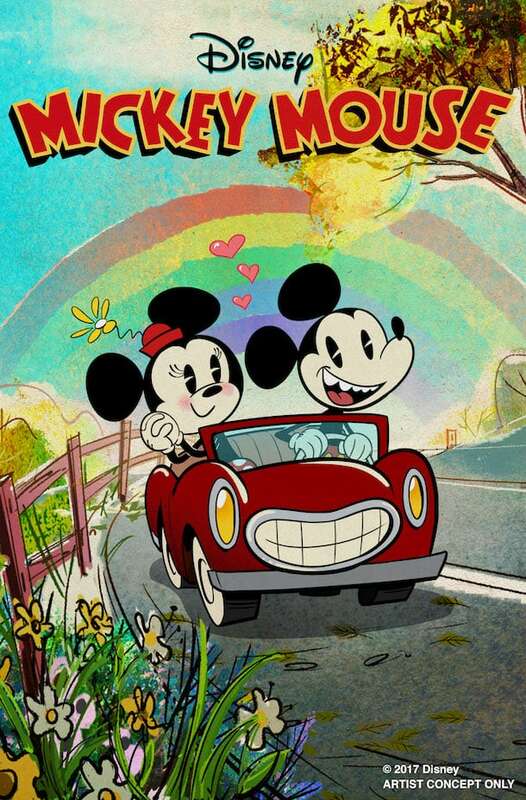 But I hope they use the old animation drawing of Mickey and Minnie. Not a fan of the new style.